This armor increases the players hand limit by two. 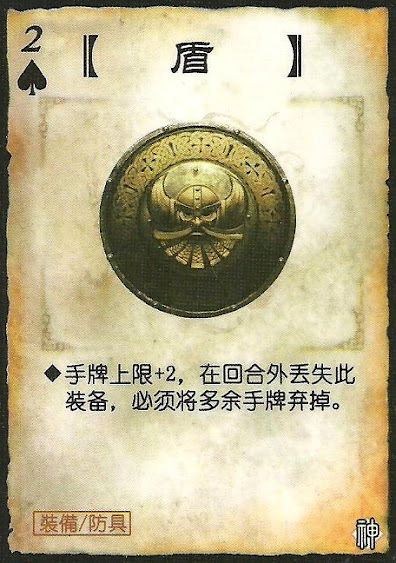 If this card is lost outside of their turn, that player must reduce his hand card number to his hand limit. When this is lost, a player must discard any extra cards that they have over their hand limit. The hand limit they must use is their new one without the Shield. If a player replaces this armor during their turn, they do not have to discard any cards.